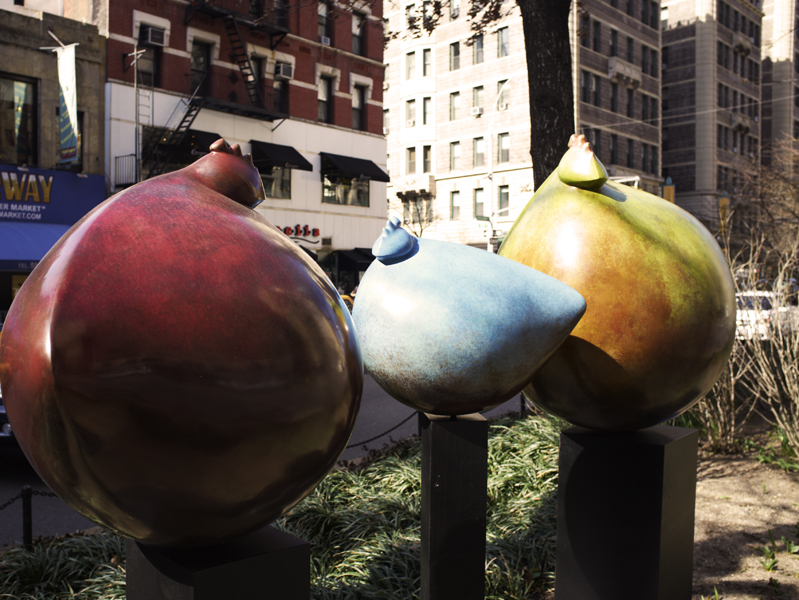 The coming of Spring brings a flush of new sculptures around the city. 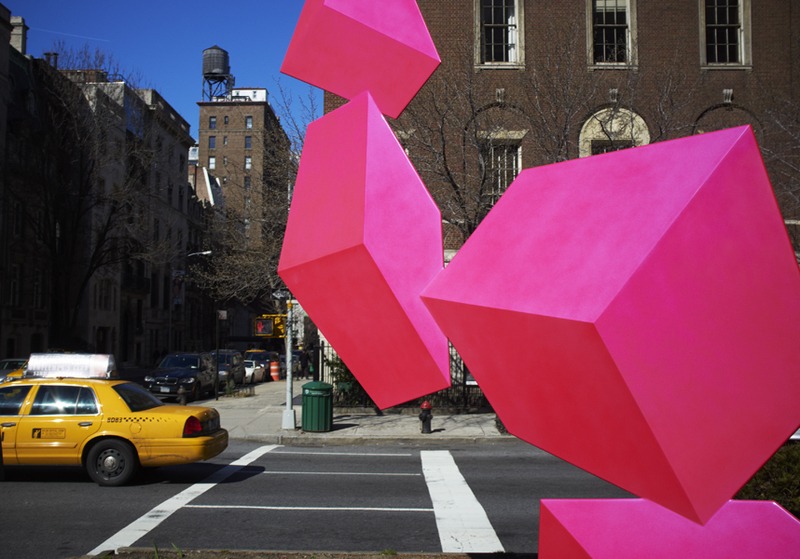 On Park Avenue Rafael Barrios has created traffic stopping illusions of three dimensional sculptures in brilliant colors. You can hardly believe they are actually flat. But there is no mistaking the expanse of the joyful Woytuk shapes on the west side. One sits just outside Fairways, our supermarket, with the result of a much slimmer shop and much leaner groceries this week…. This entry was posted in art & inspiration and tagged Park Avenue, Rafael Barrios. Bookmark the permalink.